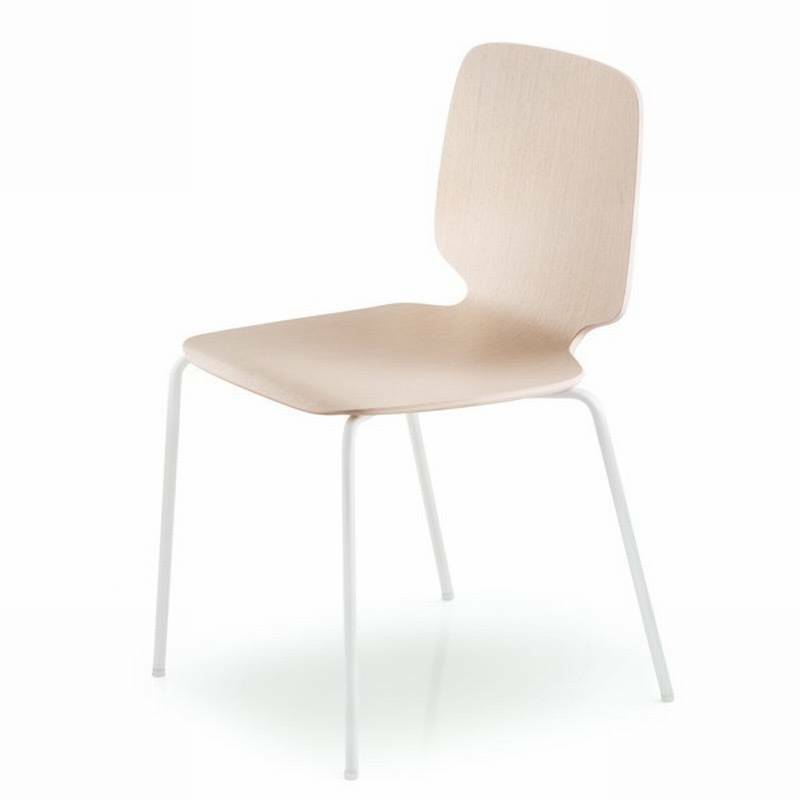 Description A pretty modern dining chair with a soft curved design. There is an honesty and integrity about the form that creates an inviting and homely feeling. The seat is made from plywood with steel tube legs (chromed, white or black). Available in bleached ash or a number of coloured stains, all with the wood grain still visible. Other versions are available featuring solid wooden legs and upholstered seats, see related products below.